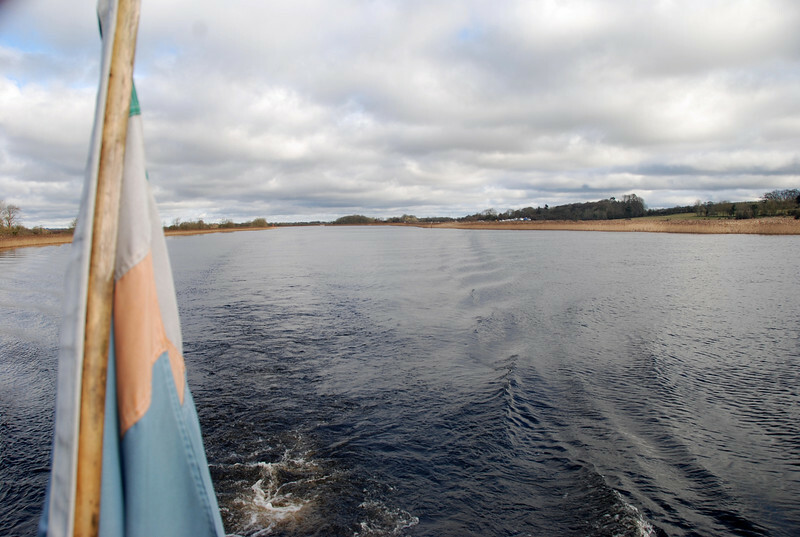 Circa 11.45 on Friday morning...heading towards Portumna swing bridge. Have already rung ahead to let the bridgekeeper (Tom on duty...Christy on a day off) know that we are on our way. Weather forecast for weekend (Metcheck..perhaps the most relible of them all!) suggests very low winds and unfortunately very low temperatures!